A professional and engaging website is essential for any beauty salon or barbers that wants to generate more leads, increase sales and thrive in the competitive sector. At Flocreative we’ve been developing websites for beauty salons and barbers over the past 8 years, helping them to achieve a successful online presence. Homepage – this is the page that most of your users will land on so it needs to explain what you do straight away and have easy to use navigation. About / overview – this page will give an overview of the business or if your self-employed or have a small team you could give a bio of each member here. Services / treatments – list each service or treatment you provide and give a detailed description for each one with a simple CTA or contact form attached to each individual page. If you have a booking system in place we can usually integrate this so the user can make a booking for that service or treatment. Contact – this page usually consists of a contact form, address and if required a map of your business address. Our experienced designers and developers will make sure you get the best from our services and fully understand what can be done to best represent your brand. As your chosen creative partner, you can rest assured that we’ll be 100% transparent from concept to completion. We always aim to finish a project as long term strategic partners, not just one-time service providers. 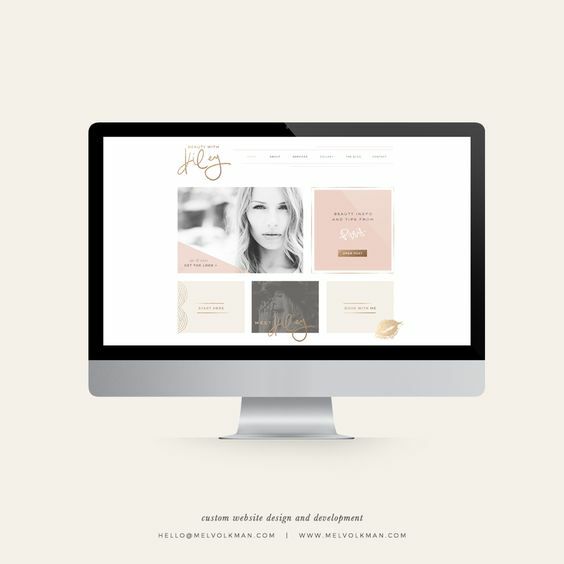 Below is a collection of great website designs and branding ideas. If you have any questions about moving forward with a project or would like more information about our services then please get in touch using the contact form at the bottom of this page. You can also view our latest projects here. 94% of users will trust or reject a website based on it design and how easy it is to use. Your website will scale down to look great on tablets, smartphones and all major browsers. Flexible and easy to use Content Management System (CMS). Making it as easy as possible to update and maintain your content after launch is vital for any growing business. We can integrate your social media feeds into your site, whether that’s Facebook, Twitter or Instagram. Keeping track of what doing well and what’s not is key. So we’ll add a Google Analytics widget into the dashboard of your CMS. We’ll provide you with walk-through documentation for the CMS as well as being at the other end of the phone and email for support. Please note: the above designs are not are own. We're simply using these as an inspiration board to give you a better idea and understanding of what can be achieved. Interested in working together? Contacting us is easy, simply fill out the form below and we will get back to you as soon as humanly possible. Alternatively you can give us a call on 01303 888 277 or 020 3355 8242.